I’d already reported on the carbon fiber wheels Koenigsegg is using (see this post), but I came across a cool twelve minute video showing the manufacturing process of these wheels. Neat video, still a bit excessive, but if you see the value in a 280mph street car, wheels like these do make sense! We all know that in 1906, a large earthquake, followed by a devastating fire, destroyed about 80% of San Francisco. Fortunately for history, a few days before the quake, someone strapped a camera to the front of a cablecar and created a twelve minute video of Market Street, a video that included sound. It’s really cool to look back in time like this on a very busy city, one that was to be changed forever in just a few days. I find the cars especially fascinating…the way they weave and dart around the horse-drawn wagons and each other reminds me of how people drive in less developed countries these days. Check out the video below. Volkswagen unveiled the production version of its XL1 two-seater car at the Geneva Motor Show recently. It’s a diesel-electric plug in hybrid vehicle that gets about 261mpg and an electric-only range of around 30 miles! While those numbers may end up slightly lower once the car goes through the US tests (the European test cycle turns in higher numbers typically), it’s still incredibly impressive. Powered by a .9 liter two cylinder diesel engine, it’s not especially fast, even with the electric motor assist….0-62mph takes 12.7 seconds, for example. There’s no official word on price, though since it’s a low volume, largely hand-built production car, you can expect the price to be pretty high, probably pushing six figures. Definitely an ‘early adopter toy’, but also a good example of the future of automobiles. Read more at AutoBlog and NPR. 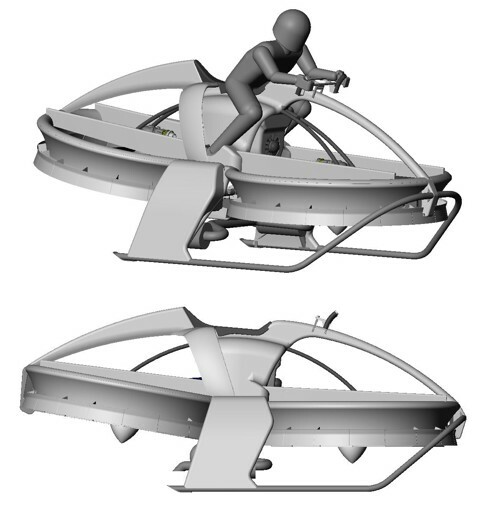 A real, functional hover bike! While the image to the left is just a next generation concept image, the videos below show a functional prototype. While it still seems a bit rough around the edges, this concept works and I can’t wait to see it evolve. It uses ducted fans and a clever mechanical control system to enhance stability (when the rider leans, a force is applied to control bars located in the knee area). Check out more over at Aerofex. I have mixed feelings about this one. PlanetSolar is less than one day from completing a circumnavigation using a boat powered only by the sun; it’s taken them about 600 days to do this. I’m not quite sure what they’re trying to prove here. If you want to go ‘green’ on your trip around the world, solar just can’t compete with wind. Sailboats are a proven ‘green’ technology that are faster and can go more places in the world’s oceans (PlanetSolar is limited more to the equatorial regions where the sun’s more direct rays result in more powered gathered by the solar panels). Likewise, storms pose little challenge for sailboats but the cloud cover hurts the performance of PlanetSolar. 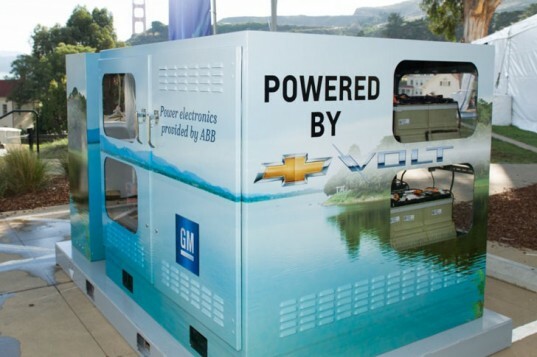 Yes, solar is useful even on sailboats for powering shipboard electronics, but when it comes to propulsion, the abundant wind on the oceans is a fantastic, proven resource. 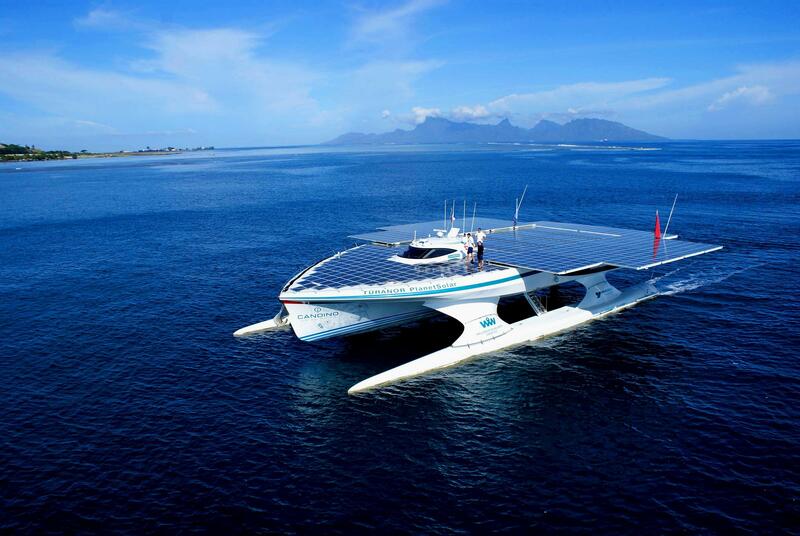 A solar boat? I don’t get it. Hoist the mainsail, matey. I’ve always loved this video…it explains how automotive differentials work (and why they’re needed). It’s a seldom appreciated, little understood, but extremely critical part that you’ll find in any modern car or truck. Good video for kids too! With the political season in full swing and our annual uptick in gas prices, there’s a lot of talk about how to lower the price of gas and oil. The reality is really nicely summed up in this article at smartplanet. The fact is, we’ve already tapped all the ‘cheap’, easily accessible oil. While there are vast quantities of hydrocarbons still available to be extracted, the cost of doing so is quite high, and as a result, we’ll never have ‘cheap’ oil ever again. Those new sources are also more difficult to get to (meaning more expensive). This means that around 2014-2015, we’re expected to hit a point where global oil supply (production) decreases on a year to year basis. Naturally, this is not going to be fun for those driving inefficient cars. If you’re shopping for a new car, you’d be wise to consider the most fuel efficient model that you can for whatever type of vehicle you need! It’s a really good article and worth the read, check it out here. Sure, electric cars don’t burn gas, but their electricity has to come from somewhere and in many parts of the country, that means coal. Surprisingly though, even accounting for that, an electric car still produces less global warming emissions than a gasoline powered car getting 27mpg, according to a new study. Of course, 100% coal-sourced electricity is a truly worst case scenario, as natural gas, nuclear, and renewable sources also come into play. Taking that into account, it turns out that about 45% of Americans live in places where the electric car emissions are equivalent to a 50mpg automobile! 37% have the equivalent of a 41-50mpg car, and 18% have a 31-40mpg equivalent. The bottom line is, yes, electric cars still result in air pollution and global warming gas emissions, but they’re still far better than almost any car on the road today (the one exception I can think of being VW’s fantastic TDI diesel engine). More importantly, as more renewable energy is plugged in to the grid, electric cars will continue to improve, and quickly outpace even VW’s best diesel efforts. Read more at SmartPlanet or the Union of Concerned Scientists.